Why can't you put metal in the microwave? 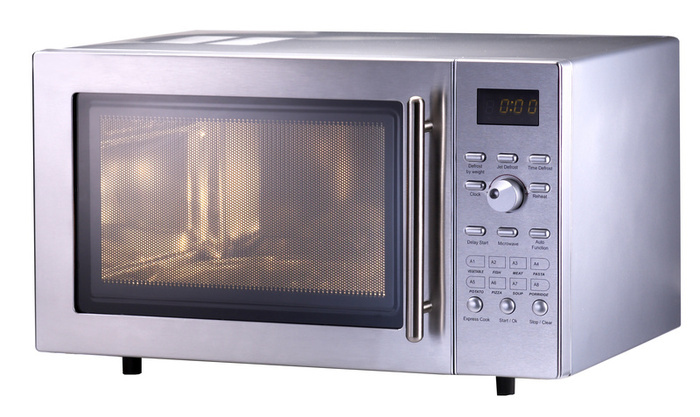 Inside a microwave is a little transmitter which sends out waves of energy called ‘radiation’. These microwaves hit the water inside your food and make it start wiggling around. This creates heat, and it’s that heat that cooks the food. The steam you see around piping hot food is the heat energy escaping into the air. The trouble with metal things is that they are much more solid than food and it isn’t as easy for the heat to escape. This is why things like tin foil can catch fire in microwaves because they just keep getting hotter and hotter. Another thing about metal is that those waves might bounce off the metal and collide around the inside of the microwave oven. 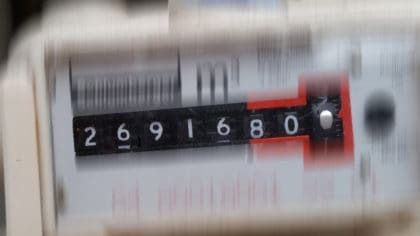 Doing this could damage the transmitter and break the microwave. If you’ve ever seen what looks like lightning in the microwave, this is what’s happening. It’s really bad for the microwave and really dangerous too. So make sure you don’t put any metal in!